Hi love. Sorry for the delay postings. had a massive hectic weekend. hope u guys having a good one too! Anyways read on for more reception decor tips. 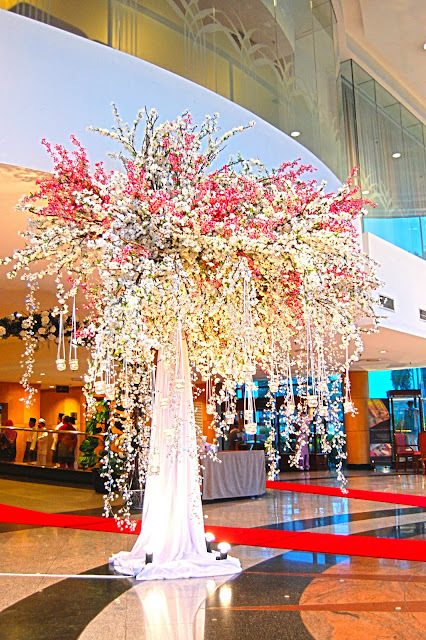 With you and your guests spending most of the day and night in your reception venue you will want allocate more of your decorating budget towards making the venue look perfect. 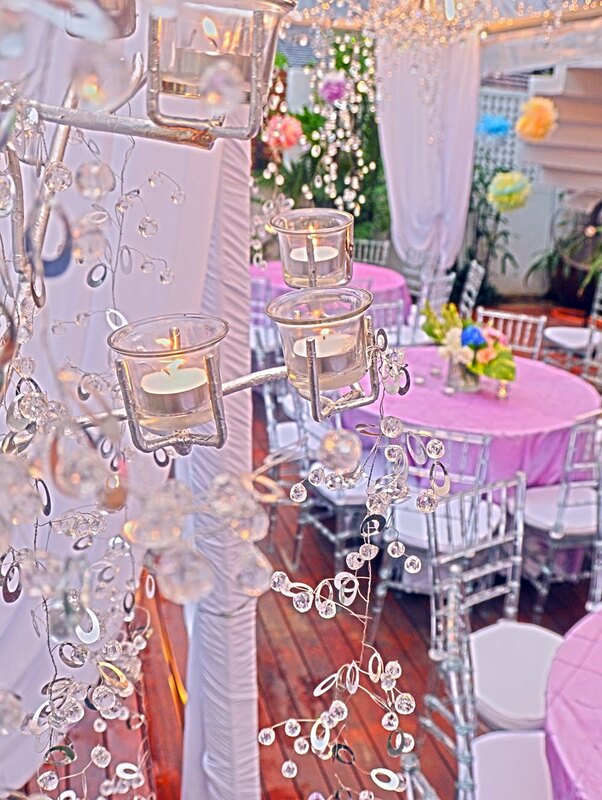 When it comes to wedding reception decorations the amount you will need to spend and do will depend on your style of venue. Designing the look and décor of your wedding reception is one of the more fun aspects of your wedding planning but with wedding reception decorations it can be difficult creating the right balance. Here are a few tips on getting things just right and creating a beautiful reception space that will wow your guests. Remember the saying ‘less is more’ when it comes to your decorations. Try to keep things tasteful and simple by avoiding covering every surface in flowers, ribbons, confetti and balloons. Not only will this be expensive but too overpowering at the sametime. Choose a color scheme of three coordinating colors. Use accents of color against a plain background rather than using shades of the same color throughout. Using pink tablecloths, pink napkins and pink chair covers will be too much, you could only get away with this with a white or ivory scheme. Flowers can be expensive so if money is tight talk with your florist about creating arrangements which use cheaper foliage and a handful of blooms. Alternatively order to large floral arrangements which you can place at the entrance to the reception venue and either forgo the centrepieces or use simple candle arrangements instead. One of the latest trends for wedding receptions is to have long tables set out end to end down the room rather than the traditional round tables. This looks very striking and makes conversation between guests easier. Consider swapping the venues glassware and crockery with something more striking which you could hire in from a specialist company. Using carefully chosen colored tableware can negate the need for other decorations by letting your place settings do the talking. Think about colored glasses, ornate cutlery and bold charger plates. Chair covers can significantly change the look of a venue, especially if the chairs are a little tired looking without them. 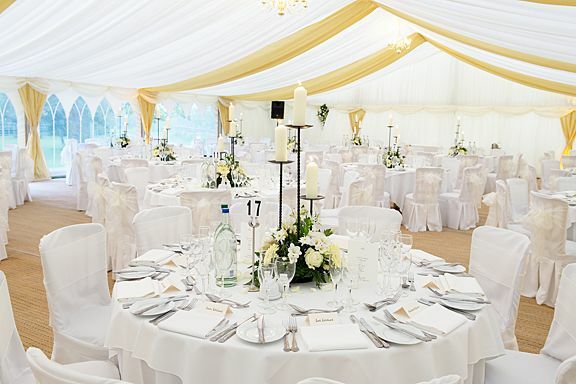 You will find a number of hire companies offering plain and patterned covers to suit your wedding style, theme or color scheme.